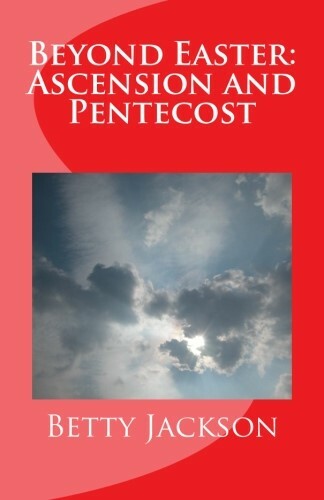 This book is a collection of writings on the topic: Beyond Easter: Ascension and Pentecost. The season following Easter gets less attention than Easter, but really is a time when Jesus passionately taught the disciples with a sense of urgency, knowing that He would soon leave their presence and ascend to heaven. Forty days after the Crucifixion and Resurrection of Christ, Jesus ascended into heaven as King of Kings and Lord of Lords, and He is seated at the right hand of Almighty God until He returns again to earth at the end of the age.On Pentecost, The Holy Spirit appeared to the disciples and others gathered in an upper room in Jerusalem. A strong wind occurred, and what appeared to be tongues of fire anointed them. They were empowered to accomplish many tasks to begin the work of the Church. Jerusalem residents and visitors from all over the world were amazed to hear the disciples able to tell of Jesus’ life and resurrection in their own languages. On that day alone, over 3,000 people were baptized after hearing Peter preach. This book is based on the two events as part of a gallery exhibition at Covenant Presbyterian Church (PCA) in Palm Bay, Florida. Under the direction of Worship Leaders Paxson and Allison Jeancake, artists, musicians, and writers have created pieces in honor of Ascension and Pentecost under the title God Is With Us: The Ascension and Outpouring. Proceeds from the sale of this book will be donated to the Faith Promise Ministry for Missions. This church has established over twenty new churches in the last five years around the world and locally. They are evidence of the outpouring of the Holy Spirit.